H-E Parts continues on-going partnership with the Wirrpanda foundation. The Wirrpanda foundations’ mission is to improve the quality of life for Aboriginal and Torres Strait Islander Australians across the four pillars of education, employment, justice, and sport. The priority of the foundation remains in employing local Aboriginal role models who are empowered to build capacity in their own communities. 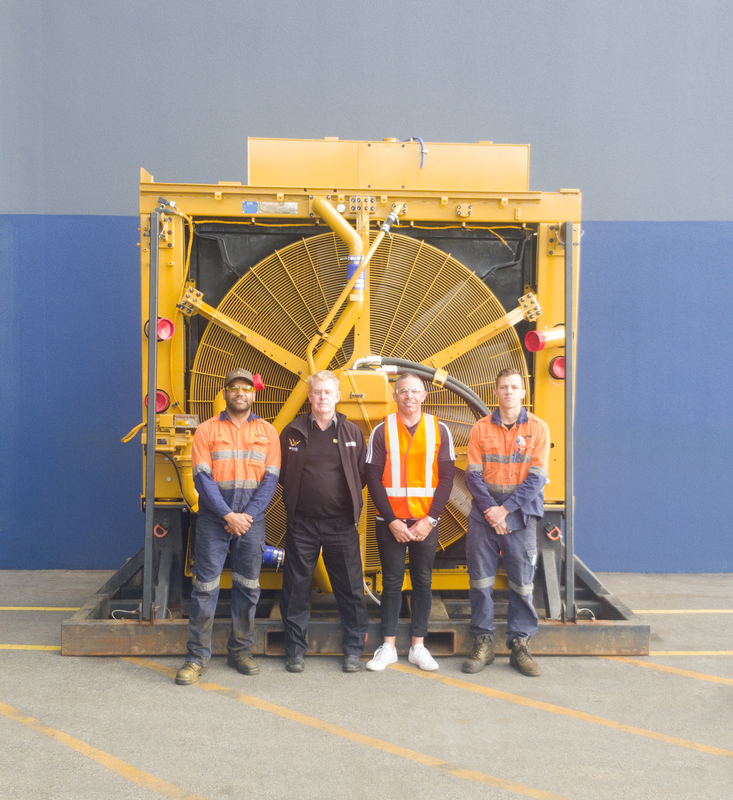 The Wirrpanda foundation works in conjunction with the VTEC (Vocational Training Employment Centre) to connect job seekers to guaranteed job opportunities while providing on-going support and mentoring to maintain continuous employment. H-E Parts support participants of the program with suitable and sustainable employment opportunities by providing a safe and welcoming working environment while being understanding and respectful of the many barriers and challenges some of our participants face on the career journeys. H-E Parts provide opportunities across all divisions and location for VTEC participants in Australia. As employees move through the stages, they are strongly supported by the Wirrpanda’s mentors. One of our team members mentor, Chance Bateman was at our Forrestdale branch to show support for our team members during NAIDOC week. While Chance was on-site, we asked a few questions about his relationship with our newest team member, Cody Ninyette. How long have you been mentoring Cody Ninyette? “I’ve known Cody for well over 12 months now through footy and in that time, I’ve offered Advice and shared personal experiences. It was clear that Cody was looking for a career change and to find something more secure. It was then that I suggested he sign up to the Wirrpanda Foundation’s newest employment program, Bidi Waalitj. Is mentoring limited to the probationary period of employment or is the support continued for as long as is needed? Have you mentored other H-E Parts staff? What are Cody’s strengths as an employee? What support does the foundation offer Cody and other VTEC employees? 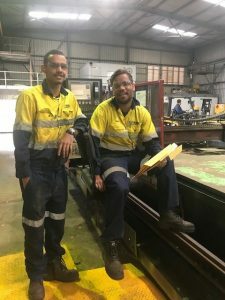 As Chance’s visit to our Forrestdale branch coincided with NAIDOC week celebrations, we asked Cody Ninyette and colleague Brett Simpson to answer a few questions for us about how they celebrate NAIDOC day with their families. How does your family celebrate NAIDOC week? What is the most valuable piece of advice you have received from your mentor Chance Bateman? Do you feel supported by the foundation? What is the most valuable piece of advice you have received from your mentor Jamie Bennell? Left: Brett Simpson, Chris Batten, Chance Bateman and Cody Ninyette. Right: Arnold Punch and Xavier Dhurrkay pictured above at our Crushing Solutions Division.